Tickets only $10 at the door (cash only). this play is not recommended for children under 13. From IMDB: To make Sidney's slump all the more painful, Clifford Anderson, a student of one of Sidney's writing seminars, has recently sent his mentor a copy of his first attempt at playwrighting for Sidney's review and advice. 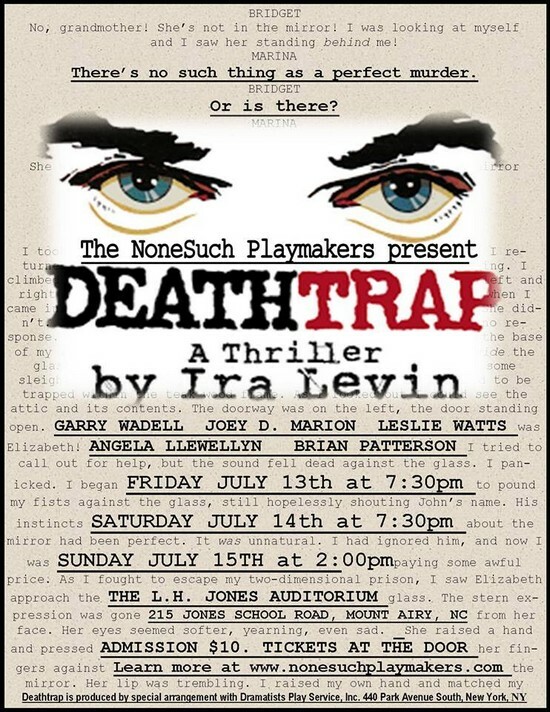 The play, "Deathtrap," is a five character, two act thriller so perfect in its construction that, as Sidney says, "A gifted director couldn't even hurt it." Using his penchant for plot, and out of his desperate desire to once again be the toast of Broadway, Sidney, along with Myra, cook up an almost unthinkable scheme: They'll lure the would-be playwright to the Bruhl home, kill him, and market the sure-fire script as Sidney's own. But shortly after Clifford arrives, it's clear that things are not what they seem! 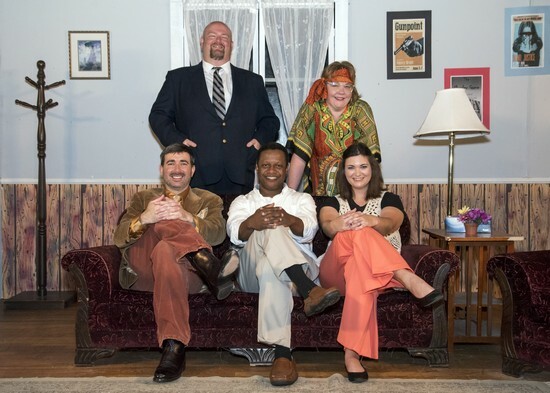 Indeed, even Helga Ten Dorp, a nosey psychic from next door, and Porter Milgram, Sidney's observant attorney, can only speculate where the line between truth and deception lies. PDF of the program here! 150 Rehearsal & Performance Photos!